In order to protect her son, Sally Jackson (Catherine Keener) went from life frolicking on the beaches with the Greek God of the sea Poseidon to fetching beer for her putrid husband Gabe (Joe Pantoliano) whose vile scent we discover she purposely sought out to hide the royal blood passed on to her demigod son, Percy (Logan Lerman). 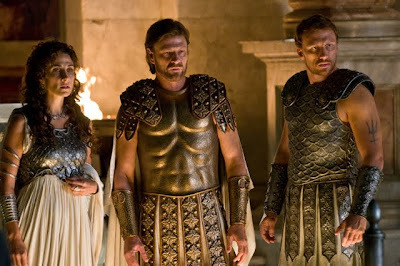 And although she's managed to keep his origins a secret for years, when Zeus (Sean Bean) learns that his cherished bolt of lightning has been stolen, he goes from one brother (Steve Coogan's Hades) to the next (Kevin McKidd's Poseidon) until he ultimately decides to pin the blame on the half-human son of Poseidon. To this end, Zeus tells Percy's real father that if the bolt isn't returned within fourteen days or by the time of the Summer Solstice, war will break out among the Gods and the Mortals. Alerting Percy of his true parentage as well as the fact that his best friend Grover (Brandon T. Jackson) who gets around on crutches is in actuality a satyr or a half goat junior protector who's been assigned to look after the boy, Sally, Grover and one of his similarly undercover teachers (Pierce Brosnan's Chiron the centaur) rush to bring Percy to stay at a camp specially designed for demigods. 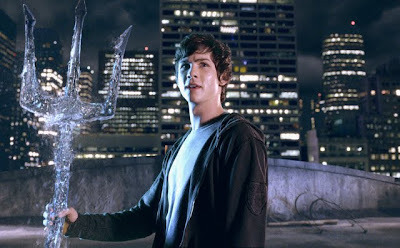 Urged to begin his training to harness the special powers that he'd previously believed were afflictions such as ADD and Dyslexia since his royal DNA causes the boy to have fast reflexes and impulses as well as the ability to turn the English language around into Greek translation, Percy starts mastering the way he can summon and control water while stationed at Camp Half-Blood. 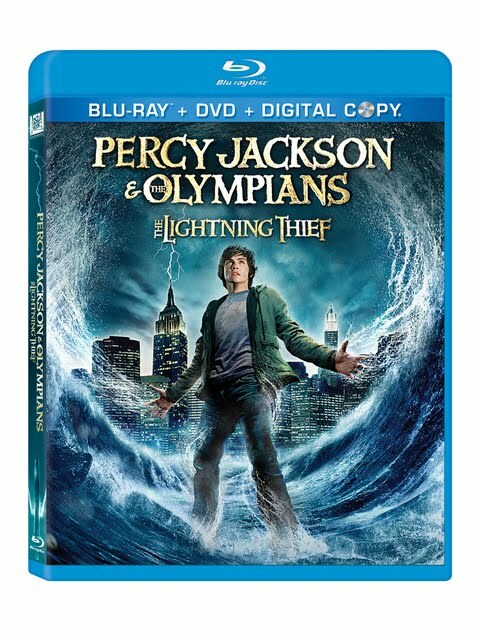 After befriending the beautiful, headstrong Annabeth (Alexandra Daddario), daughter of Athena and natural leader Luke, son of Hermes (Jake Abel), Percy soon puts a plan into action to rescue his abducted mother in turn for the lightning bolt which he, Grover and Annabeth set out to do, journeying around the U.S. to locate the pearls of Persephone (Rosario Dawson) in order to gain access to the underworld and Hades where his mother is being held. In employing the quintessential hero's journey plot points utilized in Rick Riordan's debut novel in the popular Greek Mythology infused Percy Jackson book series, filmmaker Chris Columbus sets off to duplicate the same success he had with his first two Harry Potter adaptations. And admittedly there's plenty of similarities between the structure of the works including the blend of fantasy and reality along with age group and group dynamics of the two boys and a girl that comprise our trio of heroes. Nonetheless unfortunately and despite Jackson's superlative visual effects that dazzle the senses, overall we don't feel connected to the largely flat storyline that's lacking some of the charisma, humor and personality of not just J.K. Rowling's Potter series but from reviews of the Jackson books, Riordan's source material as well. While I'm not sure if, similar to Potter, the franchise will continue to progress in its emotional payoff, finding its footing as it goes on, unfortunately as a plot-line in its own right, while Jackson is a bit above average in terms of excitement and adventure, overall, we never feel that invested in anything going on to completely empathize with our hero in the same way that we did with Rowling's boy in the cupboard under the stairs. Despite this, Twentieth Century Fox's Blu-ray transfer is unbelievably impressive, managing to carry off that delicate balance between CGI that can look like cheap video game effects at home on the small screen with the scope and impact they'd had in the theatre, which is especially noticeable in a bravura sequence as Percy battles the true lightning thief while flying through the air in between skyscrapers in a piece of cinematic wizardry that will leave you breathless. Delivering the movie in three different formats including high definition Blu-ray and standard quality DVD, Fox's release can also accompany your youngest fans of Percy Jackson on their iPod or portable device as they visit the local library to check out other books in Riordan's series. And although I'm uncertain if The Lightning Thief will be followed up with another theatrical installment, viewers are sure to remain entertained long after the film ends while investigating more than three bonus hours of special features... lightning bolt not included.